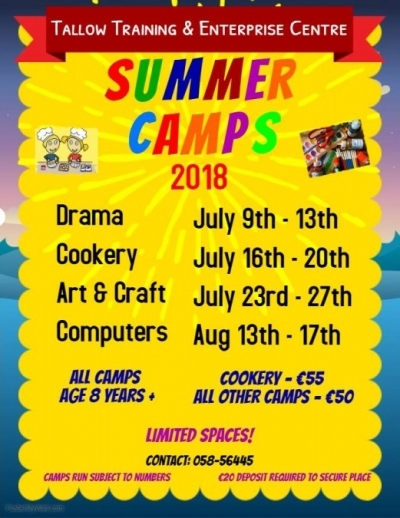 Kids Summer Camps at Tallow Training & Enterprise Centre - Tallow, Co. Waterford, Ireland. Limited places still available on some of our kids summer camps! Contact us today on 058 56445 to find out more.